Man stabs girlfriend for KFC's streetwise two he bought for his p_regnant wife. 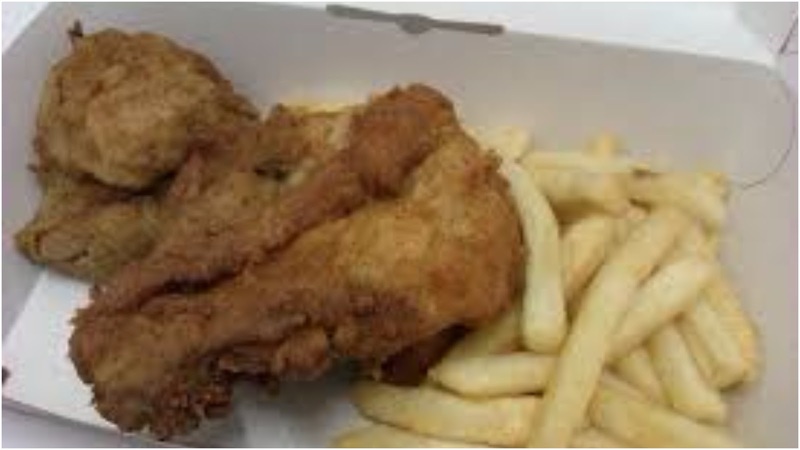 Man stabs girlfriend for KFC's streetwise two he bought for his wife. A South African man stabbed his Zimbabwean girlfriend for eating his wife's streetwise two. The man apparently sent his wife and his kids home to his mother during the festives promising to join them soon which he never did. He sent them away so he can invite his girlfriend he met five months ago to the house. They spent the festives together and he spent all his bonuses on her. His wife back at home took her kids to her mother and stayed there weeks after her husband kept lying about coming. The man finally went to Machonisa this January and he was able to send his wife money to come back to Gauteng but leave the kids as they still had issues iron out. The man told his girlfriend to leave the house as his wife is coming back. He went to KFC and bought his wide her favourite meal,streetwise two. He told the girlfriend to wait for him as he bathed he will walk her to the taxi rank. The girlfriend sadly assumed the meal was hers and ate it all up.